Launch Weather: Meteorologists with the U.S. Air Force 45th Space Wing predict a 90 percent chance of favorable weather at launch time. Cumulus and anvil clouds are the primary weather concerns. Inside the Apollo-Saturn V Center at the Kennedy Space Center Visitor Complex on Wednesday, May 30, 2018, Center Director Bob Cabana speaks to guests in the photo on the left, honoring the memory of former NASA astronaut Alan Bean who died on May 26, at the age of 86. Later that day, on the right, former space shuttle astronaut Don Peterson was remembered in the Atlantis exhibit. He passed away May 27, 2018. Peterson was 84. Two veteran NASA astronauts, who recently passed away, were honored May 30, 2018, in separate wreath laying ceremonies at the Kennedy Space Center Visitor Complex. Alan Bean, who flew during the Apollo and Skylab programs, was remembered in a ceremony at the Apollo-Saturn V Center. Space shuttle astronaut Don Peterson was honored at the Atlantis exhibit. Bean was the fourth person to walk on the Moon as lunar module pilot on Apollo 12 in November 1969. He went on to command the 59-day Skylab 3 mission in 1973. After his retirement from NASA, Bean became an accomplished artist capturing spaceflight from the eyes of one who has flown in space and walked on the lunar surface, He died in Houston on May 26, 2018, at the age of 86. 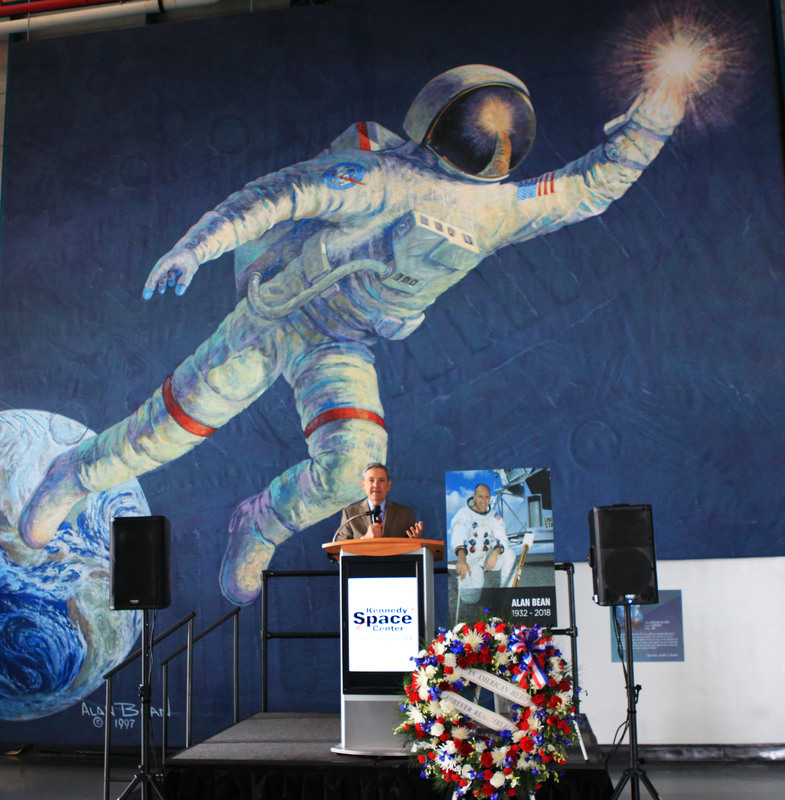 Backdropped by a large mural of a painting by Alan Bean, Kennedy Space Center Director Bob Cabana speaks to guests gathered to remember the Apollo and Skylab astronaut. After leaving NASA, Bean became an accomplished artist creating paintings to capture his view of humankind’s first exploration of other worlds. Peterson originally was selected for the U.S. Air Force Manned Orbiting Laboratory program, but when that was cancelled, he became a NASA astronaut in September 1969. He served as a mission specialist on the maiden flight of the space shuttle Challenger during STS-6 in April 1983. Peterson resigned from NASA in November 1984, working after that as a consultant in human aerospace operations. 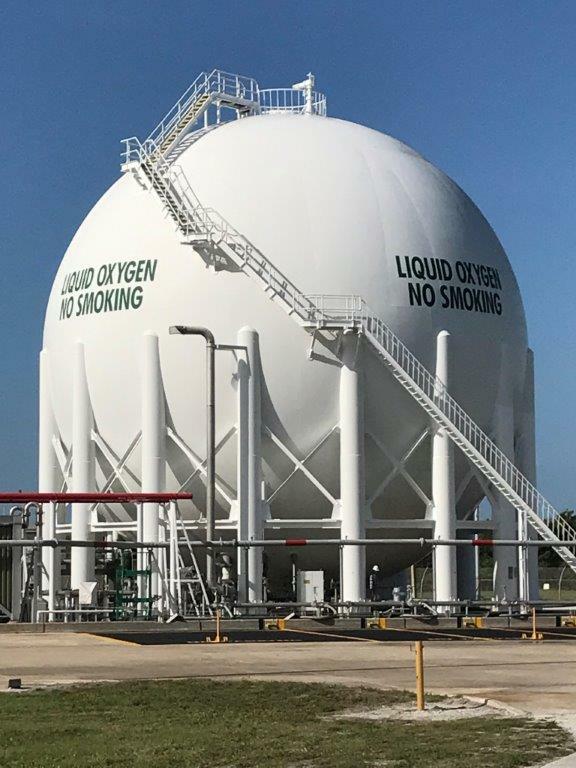 He died on May 27, 2018, in El Lago, Texas. He was 84. Astronauts Story Musgrave, left, and Don Peterson float in the cargo bay of the Earth-orbiting space shuttle Challenger during their April 7, 1983, spacewalk on the STS-6 mission. During the six-day flight, the STS-6 crew deployed of the first Tracking and Data Relay System satellite. 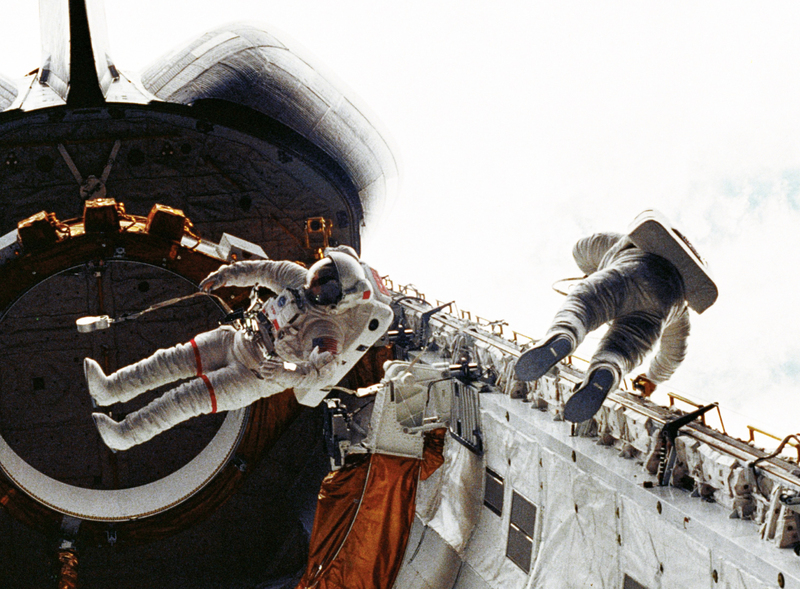 During the six-day STS-6 mission, Peterson and fellow mission specialist Story Musgrave performed a four-hour spacewalk, the first of the shuttle program. Once outside the spacecraft, Peterson was impressed with the view. 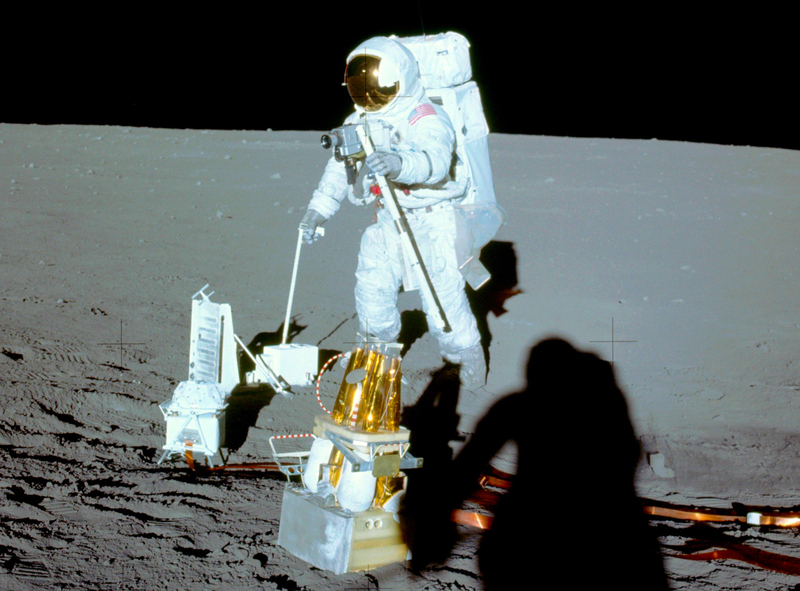 As a part of the Oral History Project, Peterson explained that the purpose of the spacewalk. Green turtles, which are on the endangered list, are among the two most common species found on the Space Coast. The other is the loggerhead, which is listed as threatened. Cinco de Mayo, Mother’s Day and Memorial Day are all things associated with May. As many Floridians know, the fifth month signifies another important occurrence: the start of sea turtle nesting and hatching season. 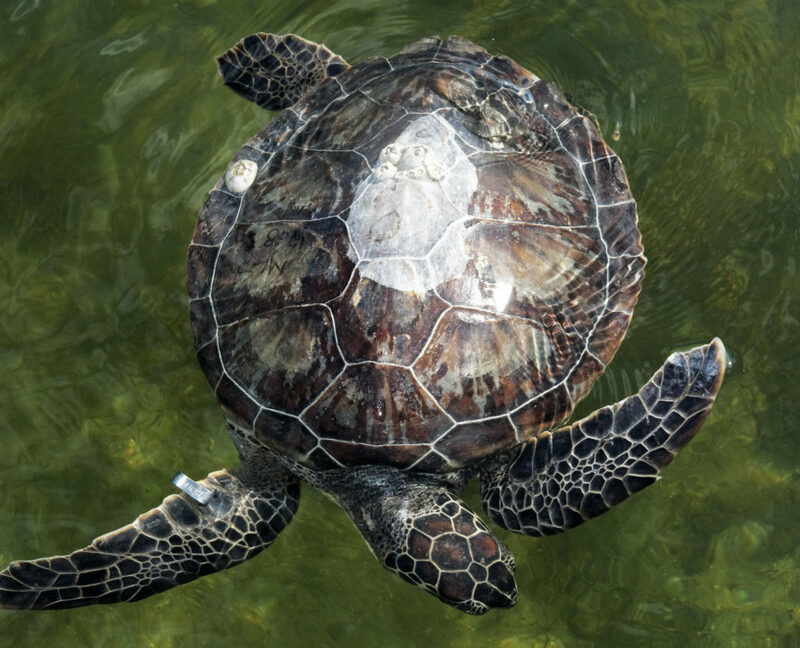 Sea turtles are prevalent along the Space Coast, and Kennedy Space Center is no exception. Experts estimate that more than 5,000 turtles nest each year on Kennedy’s protected beaches and on land near the center, on the Canaveral National Seashore. The two most common species found in this area are the green turtle, which is on the endangered list, and the loggerhead, which is listed as threatened. 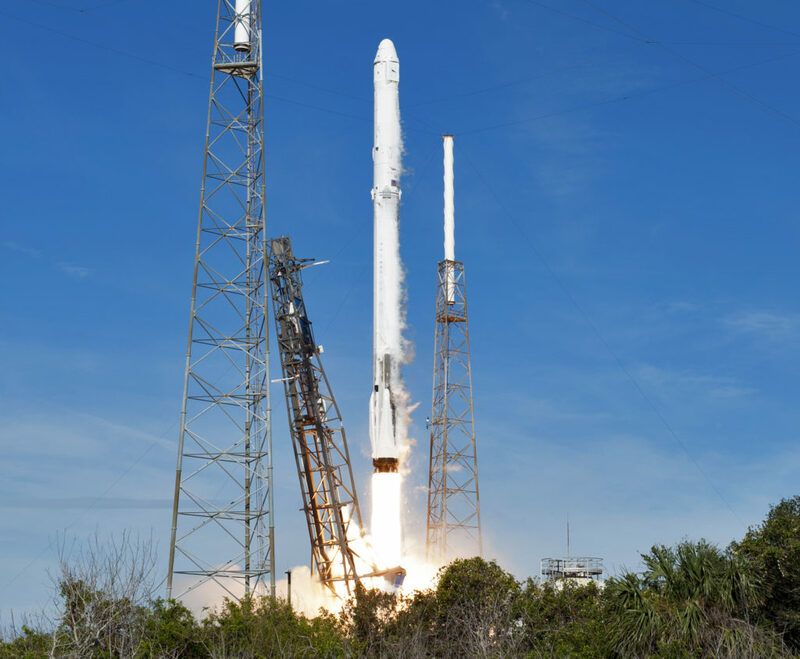 People visiting, living or working near the beach, including spaceport employees, can take steps to help these fascinating reptiles during their six-month critical nesting and hatching period. Two words to keep in mind are: dark skies. Sea turtles — and their hatchlings — need them. Females come up on the beach after dark to lay and bury their eggs. With the cooler temperatures, they are less likely to overheat while laying approximately 100-130 eggs. After 55-60 days, the hatchlings emerge from their nests — also at night. When making their way back to the ocean, sea turtles use the light of the Moon and stars to navigate. Sea turtles use the light of the Moon and stars to navigate. Artificial lighting from street lights, buildings and flashlights on the beach can disrupt their ability to find their way back to the water. 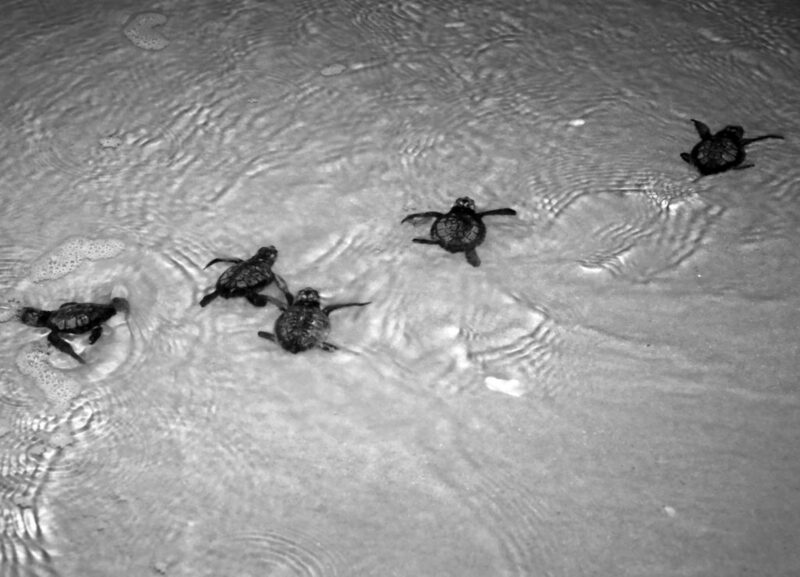 Wrong turns can be perilous for both adults and hatchlings, which have limited energy to make it offshore. So what can we do? Be aware of lights from nearby facilities or homes that can illuminate the beach. Turn off the lights, draw the shades and use LED or “turtle-friendly” lighting. Kennedy has been diligently working to improve its performance in following these external lighting guidelines every year. Experts say one hatchling in a thousand will make it to the reproductive stage. Consequently, ensuring dark skies along the eastern seaboard of Florida is crucial to a sea turtle’s survival. 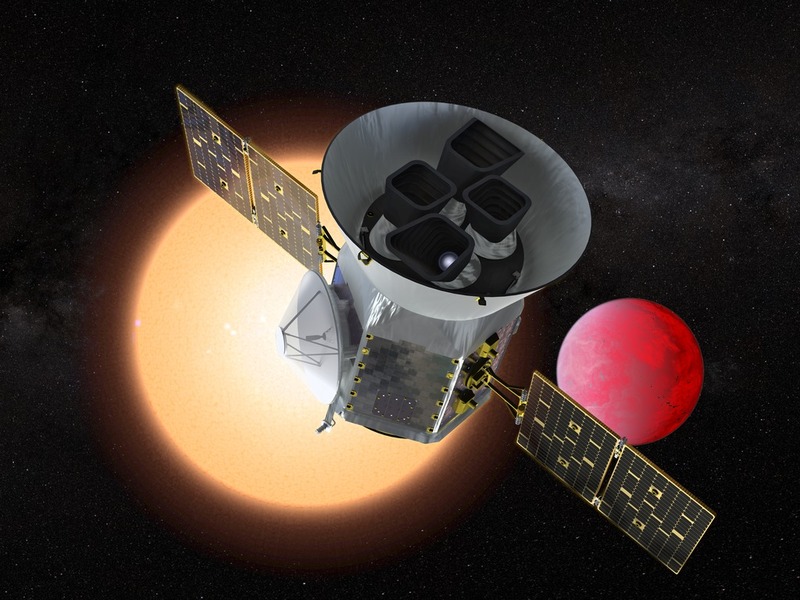 Artist concept of TESS in front of a lava planet orbiting its host star. 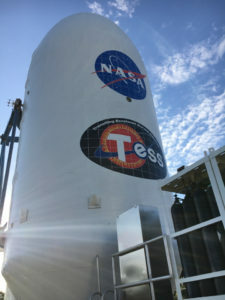 NASA’s TESS satellite is scheduled to launch Monday, April 16, aboard a SpaceX Falcon 9 rocket, on an ambitious mission to search for planets outside our solar system. Tune in Sunday for a series of briefings and events broadcast live on NASA TV. 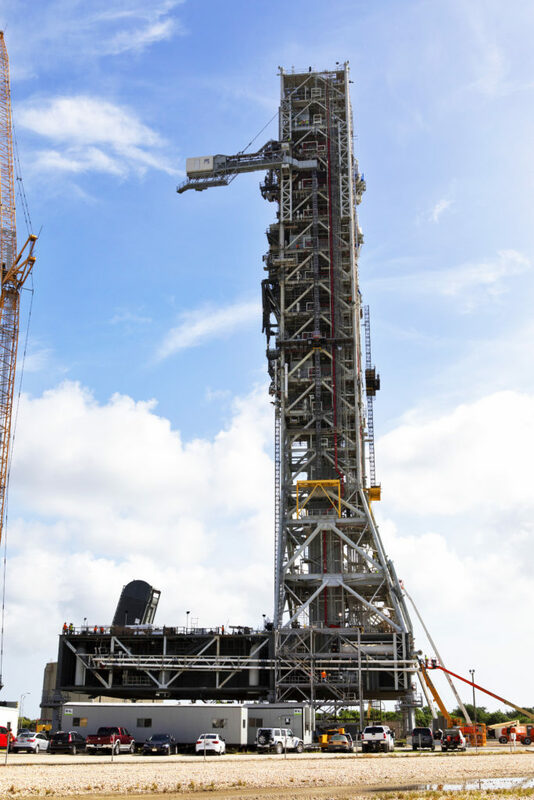 Catch the NASA Social Mission Overview at 11 a.m., a prelaunch news conference at 1 p.m. and a news conference focusing on the science of the mission beginning at 3 p.m. All times are Eastern. 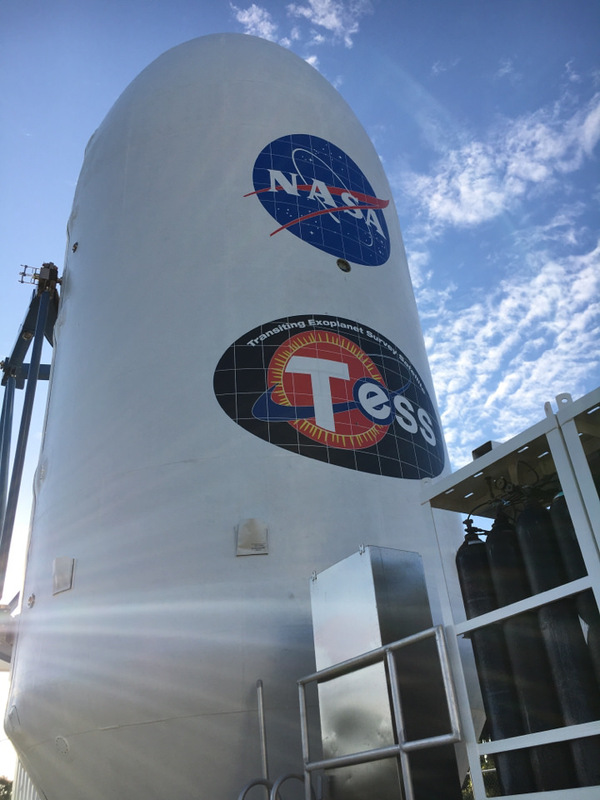 View the TESS Briefings and Events page for the full list of event participants. 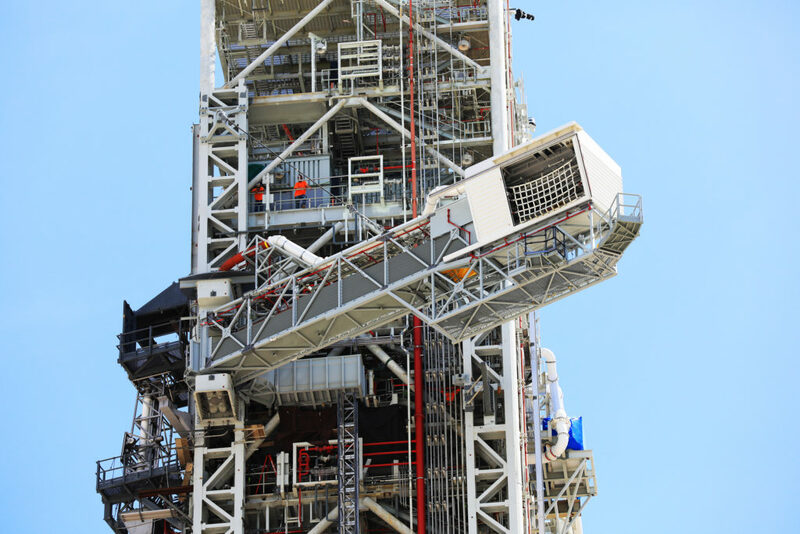 Join us here or at NASA TV from 6 to 8 p.m. on Monday for live coverage from the countdown. 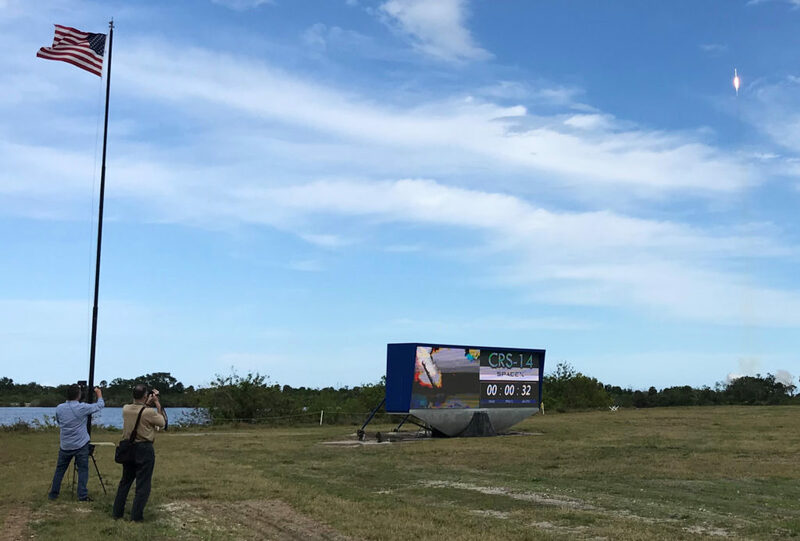 Liftoff from Space Launch Complex 40 is scheduled for 6:32 p.m.
At the 2017 competition, a Swarmie robot finds a “resource” cube marked with an AprilTag. 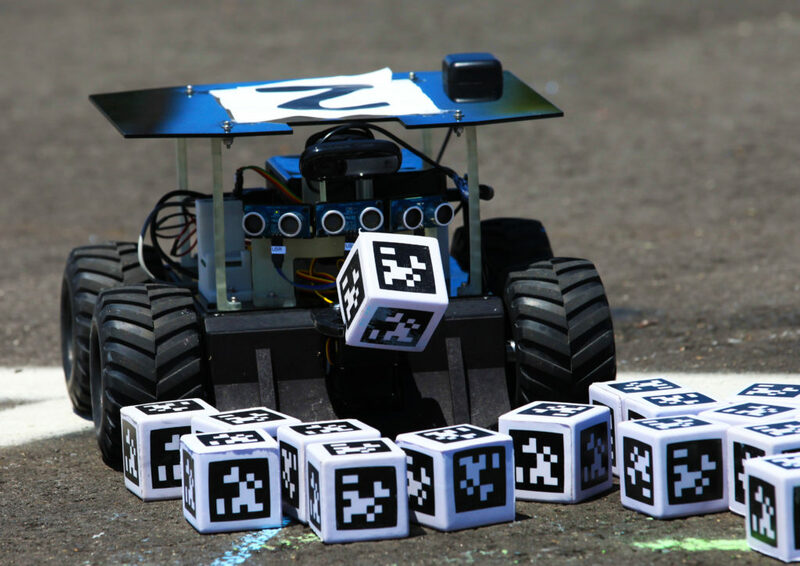 In the Swarmathon competition, students were asked to develop computer code for the small robots, programming them to look for “resources” in the form of cubes with AprilTags. NASA’s Minority University Research and Education Project (MUREP) is gearing up for the third annual Swarmathon taking place April 17-19. 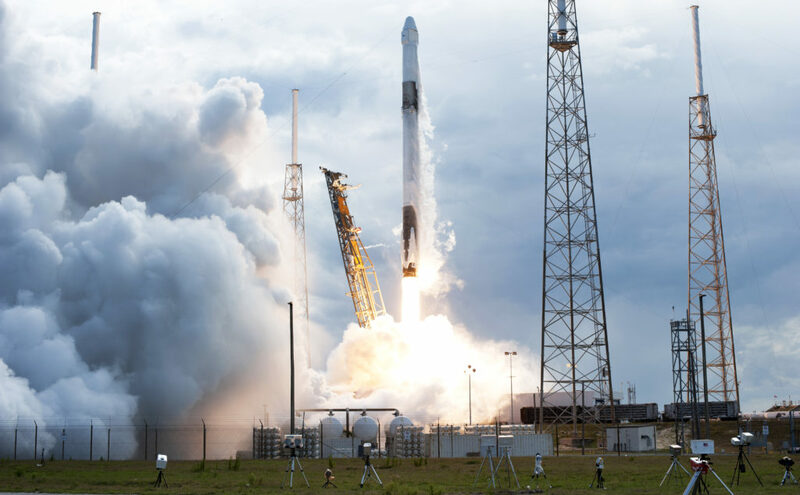 Students from minority serving universities and community colleges from across the nation will participate in a robotic programming competition at NASA’s Kennedy Space Center Visitor Complex. Their developments may lead to technology which will help astronauts find needed resources when exploring the Moon or Mars. Swarmies are small robotic vehicles measuring about 12 inches by 8 inches by 8 inches. Each Swarmie is equipped with sensors, a webcam, a GPS system and a Wi-Fi antenna. They operate autonomously and can be programmed to communicate and interact as a collective swarm. The aspiring computer engineers will be challenged to develop search algorithms for robotic swarms. Algorithms are self-contained, step-by-step operations to perform calculation, data processing and automated reasoning. Swarmathon participation will improve students’ skills in robotics and computer science, and further advancing technology for future NASA space exploration missions. Successful exploration of the Moon and Mars requires the location and retrieval of local resources on the surface of these locations beyond Earth. Technologies are needed to find and collect materials such as ice (convertible into liquid water, hydrogen fuel and oxygen to support human life) and rocks, minerals and construction materials to build human shelters. 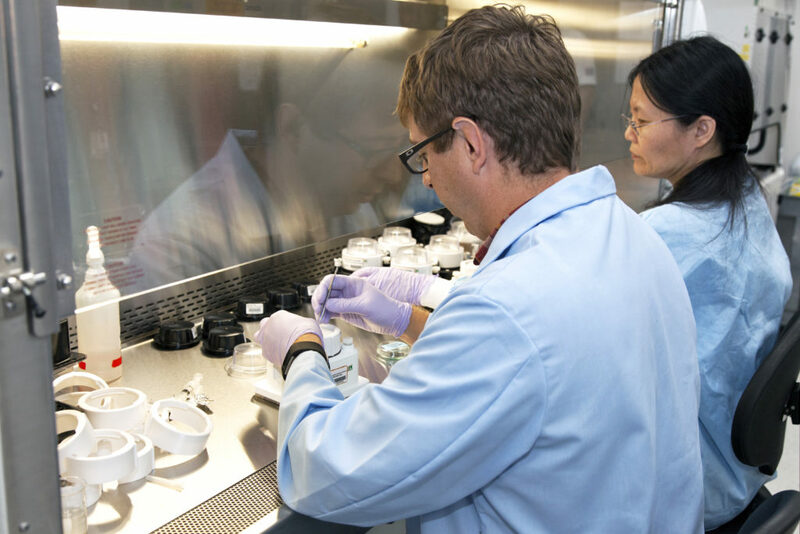 NASA’s MUREP selected the University of New Mexico to manage the Swarmathon challenge in a joint effort with the agency. Through the MUREP program, NASA’s goal is to increase the number of NASA-focused science, technology, engineering and mathematics, or STEM, experiences that engage underrepresented groups in active education.